You're privacy is assured, we won't share your details with anyone. It can be exhausting living with SIBO. You have to think about all of your meals, deal with painful and embarrassing symptoms, take countless rounds of medication, and try to live a 'normal' life at the same time. Wouldn't it be wonderful if you could take a vacation from it all? 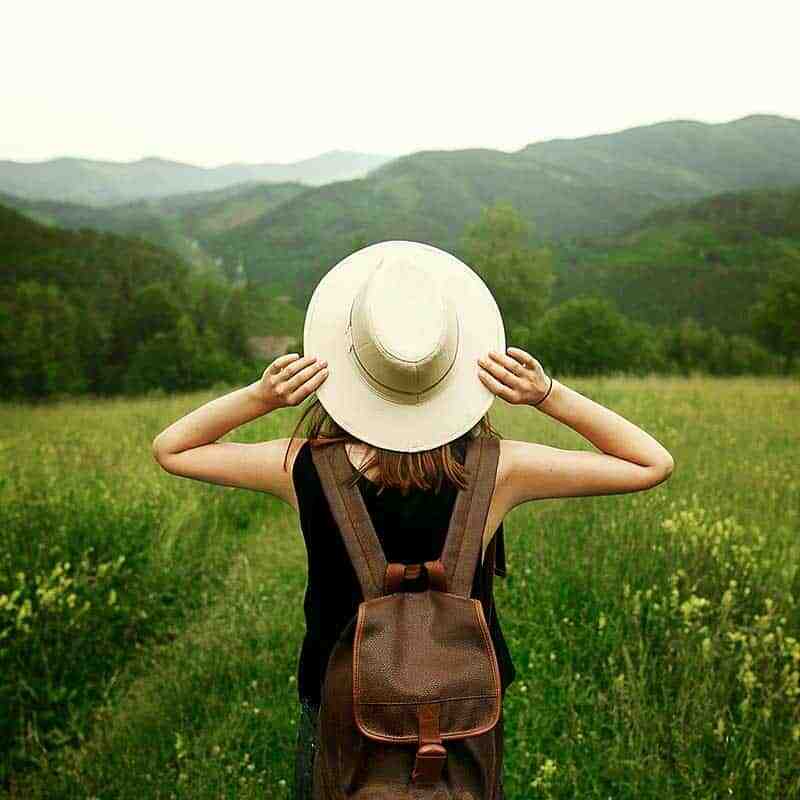 To go somewhere where people totally understand you, to know exactly what it's like to live with SIBO and to take all that pressure away from you? Wouldn't it be great to take a vacation from SIBO for a few days? To have all your meals organised, give you the opportunity to relax and unwind from the pressures of chronic illness? Come and be pampered for 6 days at the world's first SIBO Retreat. Learn the 5 Key Pillars To Health: Awareness, Nutrition, Movement, Mindset and Lifestyle and how you can apply them to your life today. 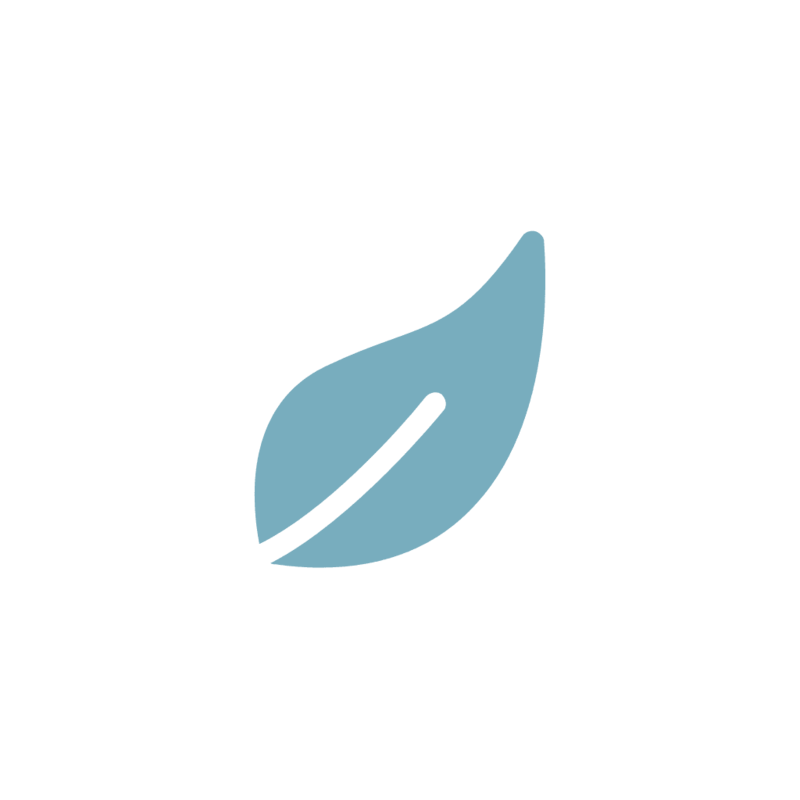 Your hosts Rebecca Coomes and Kirsten Swales will guide you through a series of workshops, help you to relax through pampering sessions, ensure you eat delicious SIBO friendly food and help you to meet other people just like you. Learn more about your condition and the 5 Key Pillars To Health. Come away empowered to take control of your health. Enjoy delicious SIBO friendly food throughout the retreat. All dietary requirements catered. Use this time to unwind and relax with yoga, meditation and more. Travelling with SIBO is possible. Come and explore beautiful Bali, Indonesia with us on day trips and excursions. 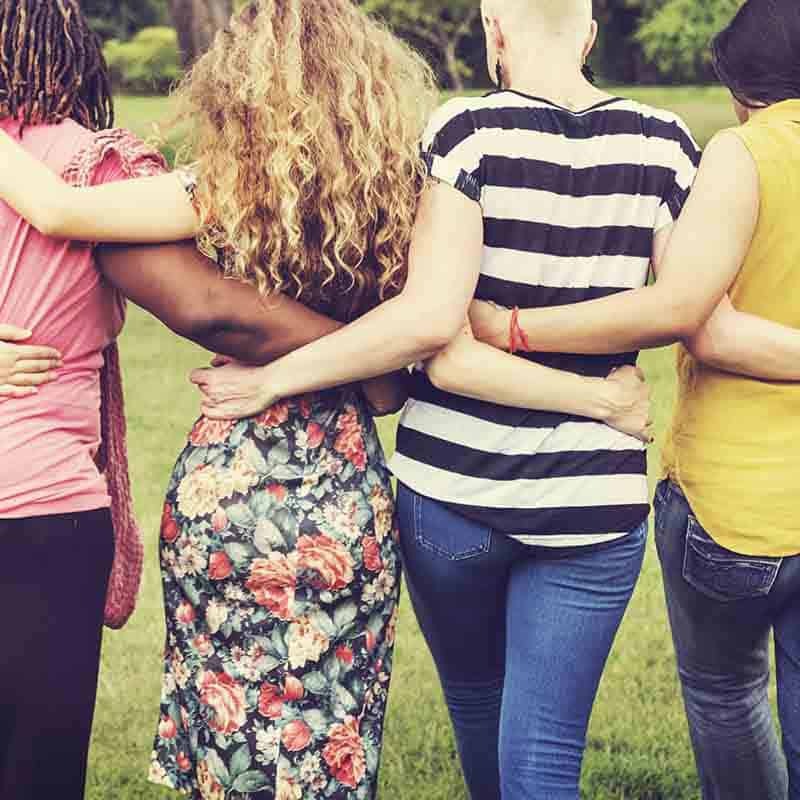 Living with SIBO can be isolating. Meet other SIBOers just like you at the retreat and make life long friends. Taking a vacation means unwinding with beautiful and relaxing pampering sessions. Rebecca Coomes and Kirsten Swales know exactly what it's like to live with SIBO. Together they are passionate about helping others just like them to regain their health, vitality and happiness. After a lifetime of chronic illness and digestive distress, Rebecca was diagnosed with SIBO in early 2015. Since then, she has supported hundreds of thousands of people all over the world through The Healthy Gut, her podcast, SIBO Coaching Program, SIBO cookbooks, SIBO cooking show, webinars, website and events. She is a SIBO patient advocate and is passionate about showing fellow SIBOers that this condition does not mean life is over. 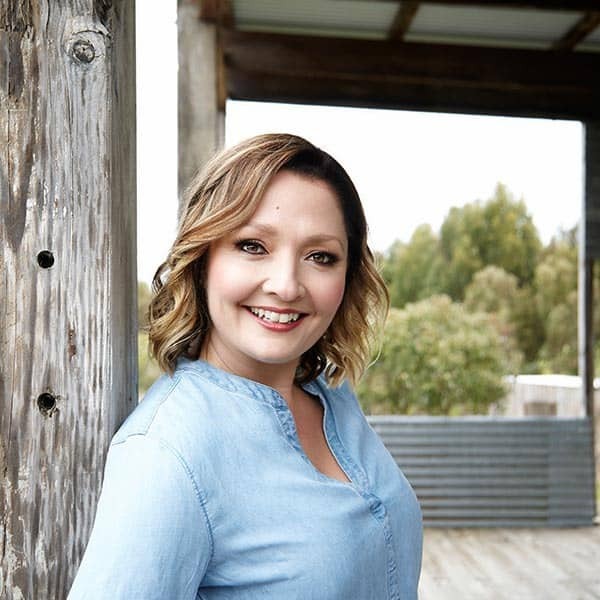 Kirsten is a Naturopath, Nutritionist, and Medical Herbalist and she specialises in working with those suffering from chronic digestive complaints, weight issues and fatigue. Despite her wealth of knowledge, she found herself fatigued, bloated and in pain. Discovering she had SIBO, candida and parasites, she set about healing her gut and returning to her sparkly best. 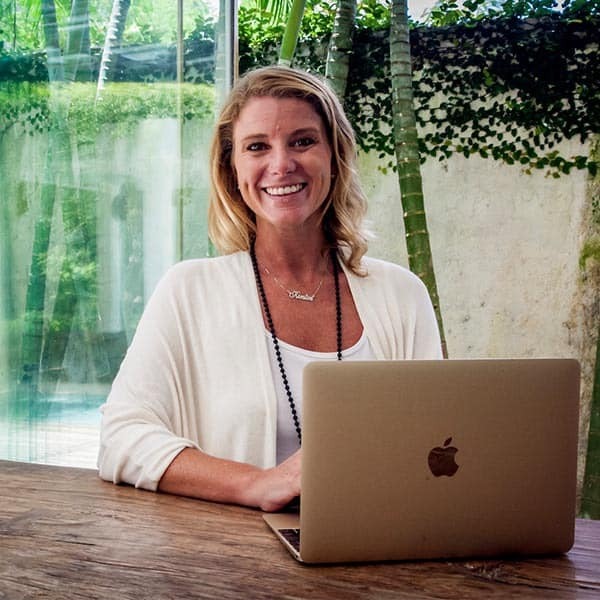 Today, she consults with people from all around the world, helping them with their SIBO while living the dream in Bali, Indonesia. From the moment you arrive, you will step into a world where you can leave your SIBO worries to one side. 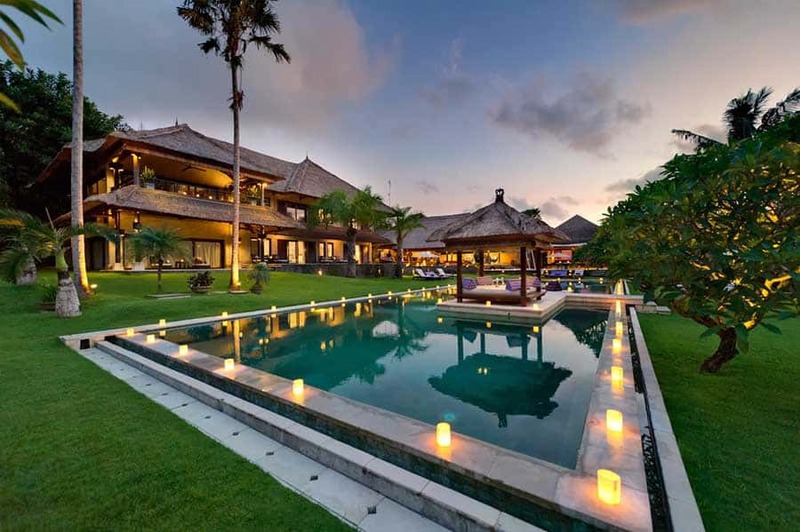 Collecting you from Ngurah Rai International Airport, we will bring you to Chalina Estate and into the arms of luxury. We have exclusive use of the resort, so only participants of the SIBO retreat will be present. This means you can relax, safe in the knowledge that every person there has SIBO and totally gets what it's like to live with it. We are finalising the schedule, however, the following itinerary will give you an idea of what you can expect at the SIBO Retreat. We collect you from Ngurah Rai International Airport. Guests arrive throughout the day. Afternoon yoga and meditation class to unwind from your travel. Evening welcome dinner at the resort for all guests to meet and get to know each other. Morning yoga session. First Key Pillar to Health workshop: Awareness. Understanding your SIBO and how you can develop a personalised plan to address it. Fun and interactive SIBO cooking class. Afternoon workshop on healing your relationship with food and how you can begin to broaden your diet. Afternoon meditation session. Group dinner at the resort. Morning yoga session. Second Key Pillar To Health workshop: Nutrition. Understanding the different dietary protocols for SIBO, how to personalise a diet for your requirements, how to manage a flare, how to transition out of a SIBO diet, and more. Afternoon meditation session. Group dinner at a local restaurant. Morning yoga session. Third Key Pillar to Health workshop: Movement. Understanding the importance of movement in your SIBO recovery and simple exercises you can do at home. Afternoon workshop on the forth Key Pillar to Health: Mindset. Afternoon meditation session. Group dinner at the resort. Morning yoga session. Morning excursion to local farmers market to shop for food, followed by fun and interactive SIBO cooking class. Afternoon workshop on the fifth Key Pillar to Health: Lifestyle. Reviewing the importance of stress, sleep, relationships and career on your SIBO recovery. Group dinner at the resort. Final morning of relaxation and pampering. Morning yoga and meditation sessions. Massage therapy. Breakfast provided. Check out by 10am. We return you to Ngurah Rai International Airport and say a sad farewell as we bid adieu to our new lifelong friends. 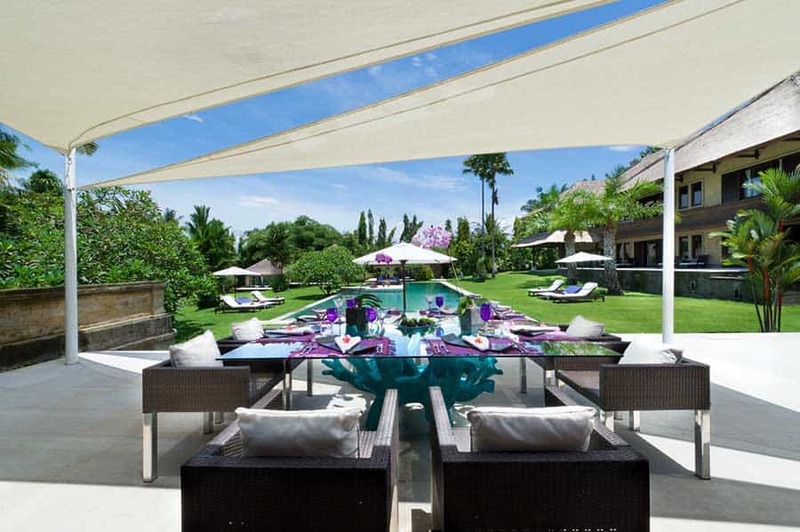 Chalina Estate is a magnificent property overlooking the picturesque rice fields of Canggu, Bali, Indonesia and is situated just minutes from the famed surf breaks at Echo Beach on the south-west coast. Resting upon 5,300 square metres of beautifully landscaped gardens and lawns bordering the Pangi river, with a divine 35-metre swimming pool as its centrepiece, the villa invites guests to enter a world of total peace and privacy. 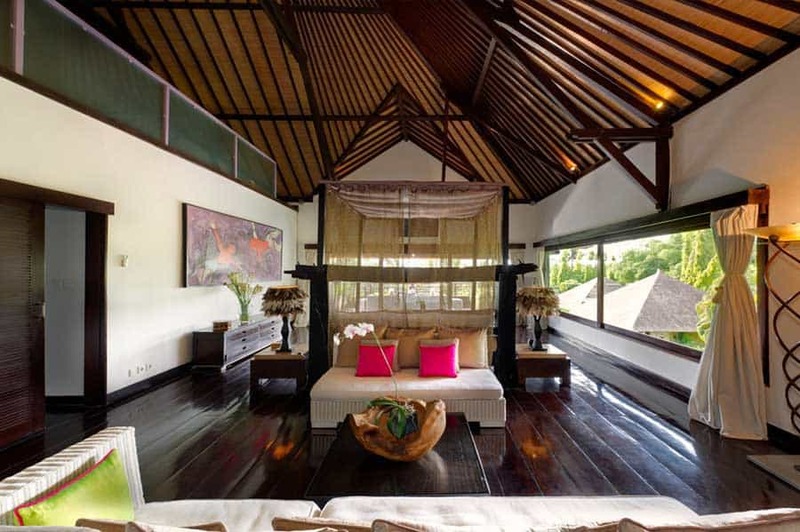 This luxurious home delightfully pairs the old with the new – classic Balinese architecture with alang-alang thatched roofs, sandstone walls, polished stone and dark wood floors provide the perfect backdrop to showcase the striking modern artwork. Featuring seven bedrooms and a bunk room for up to ten extra guests, generous living and dining areas and a separate lounge bar with two adjoining terraces, there’s plenty of space to relax and unwind. The pool’s floating gazebo provides a soothing location for a massage or to practice meditation and embrace the villa’s uplifting energy. Chalina Estate’s perfectly manicured lawns, exotic tropical flora and stunning outlook make the villa an idyllic setting for the world's first SIBO Retreat. Chalina Estate is also the ultimate destination to rejuvenate mind, body and soul. Embark on a spiritual retreat in this peaceful haven surrounded by natural beauty and the stresses and strains of SIBO life will soon evaporate into the tropical air. Enjoy the lush green surrounds and the tranquil luxury of Chalina Estate. Your SIBO breakfast, lunch and dinner will be served in the al fresco dining area each day. Workshops, yoga and meditation classes and informal gatherings will occur in the common area. Relax from your travels and soak up the rays by the gorgeous 35-meter (115 feet) pool. Chalina Estate is a small and intimate venue. We have 3 deluxe rooms (2 person capacity), 3 pavillion rooms (2 person capacity), 1 twin room (2 person capacity) and a 10-bed bunk room available. Due to the exclusive nature of the venue, the SIBO Retreat operates on a first in, first served basis and is limited to 24 people. 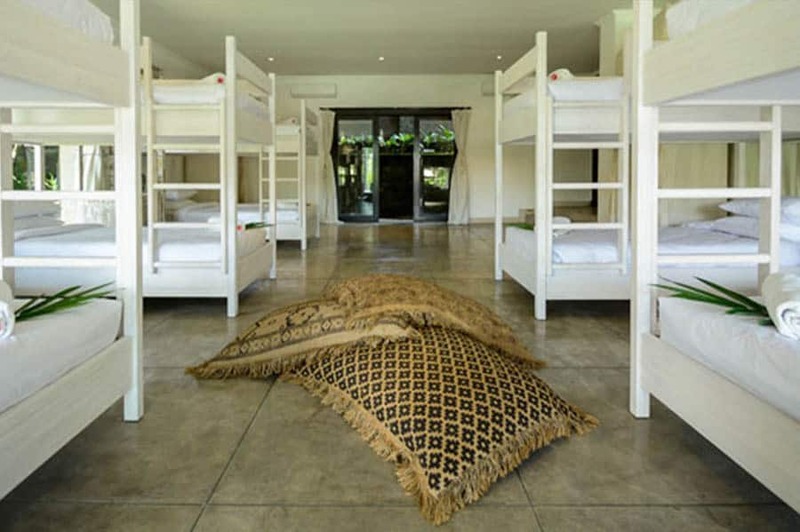 The dual occupancy rooms are perfect for a couple or friends who are happy to share a bed. Truly pamper yourself by selecting one of the three deluxe rooms. 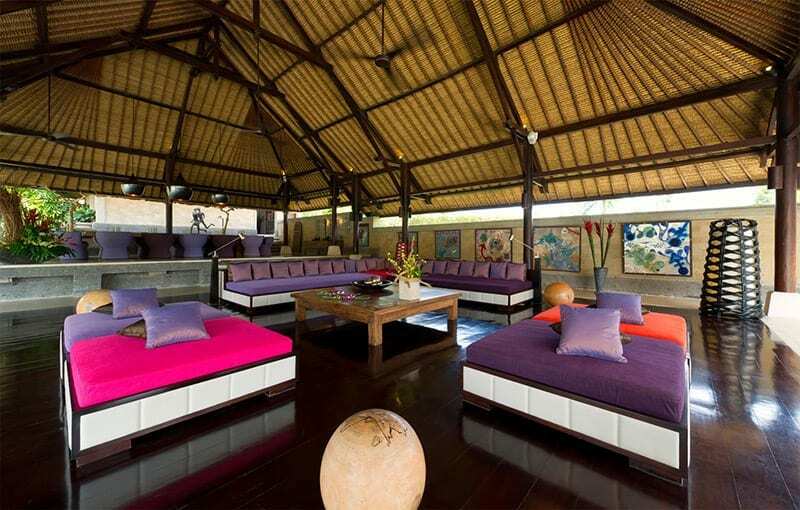 These huge suits have stunning views over the surrounding rice paddies or garden area. Each deluxe villa has a large ensuite bathroom with rain shower, TV, and plenty of space to relax in. Stand-alone pavilions are set on lawns sloping down towards the river, each with a patio from which to enjoy the view. 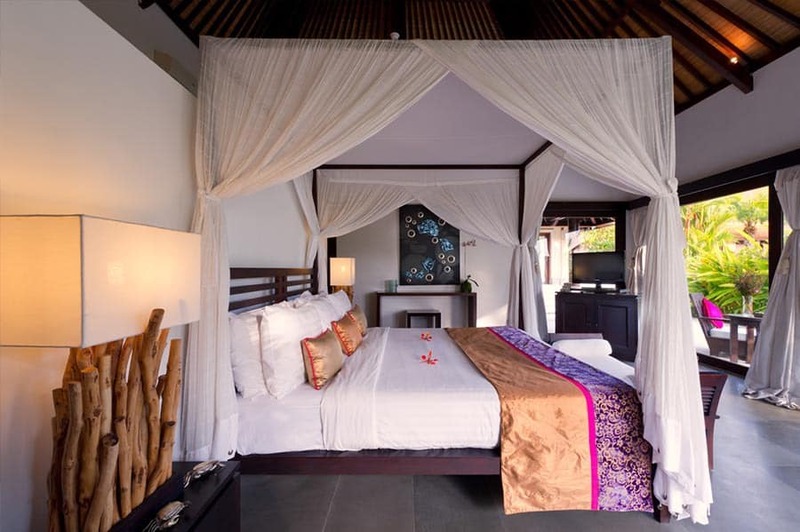 Each room is furnished with a king-size four-poster bed draped with a mosquito net. Ensuite bathrooms feature cobbled stone floors, black marble twin wash basins and rain showers. 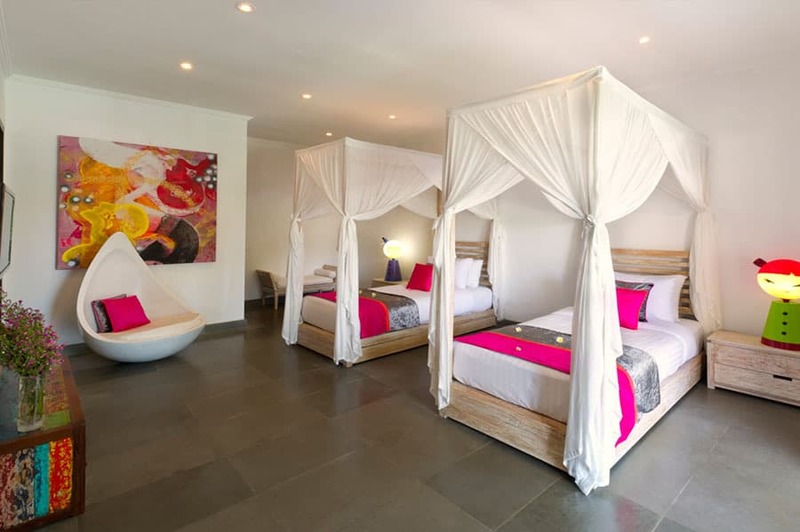 Located on the ground floor of the main building, the twin room features twin whitewashed teak beds draped with mosquito nets and polished grey terrazzo floors. It opens onto the large stone patio facing the pool. An ensuite bathroom features a Palimanan stone floor, rain shower, stainless steel bathtub and twin basins. The bunk room is perfect for the budget conscious traveller or larger groups of friends wanting to attend the SIBO Retreat together. It faces the pool and garden and has five sets of bunk beds, which can sleep up to 10 adults. There is a WC attached but no bathroom. Two further WCs and a shower room are available at the bar area. WHAT DOES IT COST TO ATTEND THE SIBO RETREAT? To attend the SIBO Retreat it is $2995 USD per person. If you book before 31 January 2019 you will receive the early bird rate of $2495 USD. As the world's first SIBO Retreat, this event will be an exclusive experience for a maximum of 24 guests. We have secured the private use of Chalina Estate for the SIBO Retreat. Please select from one of the available room options below. Accommodation is in addition to the retreat fee. If you've always wanted to go to a SIBO Retreat, then now is the time to register your interest. 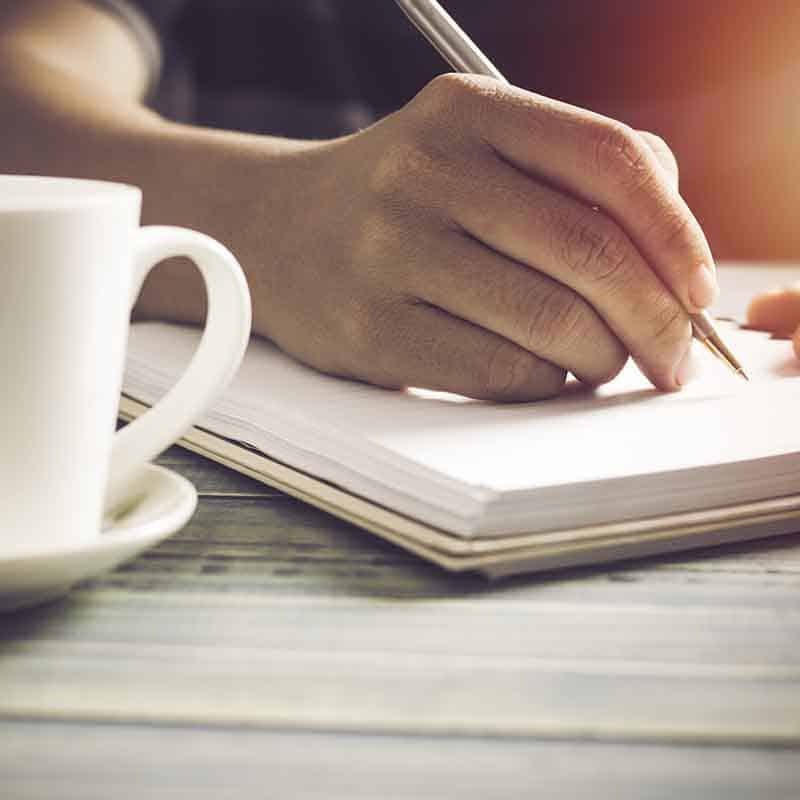 Simply click the link below, tell us a little more about yourself and we'll be in touch to tell you more about the SIBO Retreat. 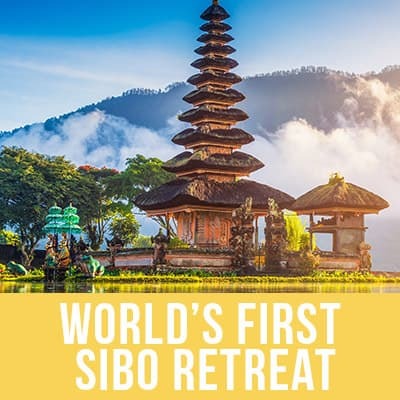 On Offer: The world's first SIBO retreat, designed for SIBO patients to come and be pampered, learn more about SIBO and meet other amazing SIBOers. Still have questions? Check out our commonly asked questions and answers below. If you still have questions, don't hesitate to contact us directly here. The SIBO Retreat ticket price is $2995 USD per person. This gives you access to the entire retreat, all of the workshops, all meals and non-alcoholic drinks, all yoga and meditation classes, pampering sessions (any additional ones can be purchased separately), excursions, cooking classes and transfers to/from Ngurah Rai International Airport. In addition, you are required to purchase one of the available rooms as listed above. You are required to purchase your own airfares and travel insurance. If you would like to drink alcohol at the SIBO Retreat, we ask that you bring this with you as we will not be supplying alcoholic drinks. Any additional activities that you would like to do while you are in Bali, that are not part of the program, will be at your expense. What airport do I need to fly in/out of? The closest international airport is Ngurah Rai International Airport. This is located on the island of Bali in Indonesia. Your transfers to/from the airport are included in your SIBO Retreat ticket price. We have the exclusive use of Chalina Estate and so we require all attendees of the SIBO Retreat to stay with us there. You are welcome to extend your stay in Bali and stay at a hotel before or after the retreat. Yes! It is a condition of booking a ticket with the SIBO Retreat that you have comprehensive travel insurance. Please ensure you are covered for things like flight delays, cancellations, lost luggage, natural disasters and comprehensive medical coverage. Is there medical support available if I need it? We can recommend a doctor and/or hospital if you require it. Please ensure your travel insurance policy has comprehensive medical coverage so that you can claim any expenses through it. We would be very sad to see you unwell at the retreat but we will not be able to cover any medical expenses for you. Most definitely! The SIBO Retreat is designed to give you a vacation from your SIBO. Each day, there will be time for you to relax by the pool, in the beautiful common areas or take a nap in your room. You will be provided with a daily itinerary so you will be able to plan your relaxation times. We want you leaving the SIBO Retreat relaxed, refreshed and totally pampered. We have designed the SIBO Retreat to provide you with a lovely balance of education, relaxation, pampering and time to make new friends. However, if you need to skip a morning yoga session so you can sleep in, we are happy for you to do so. After all, this is your vacation! Of course! We are committed to giving you a vacation from thinking about food. At the SIBO Retreat, we will cater to everyone's dietary requirements so you can eat in peace, confident that the food you have been provided is suitable for your requirements. Upon booking, we will ask you to provide us with your dietary requirements so we can inform the chef with as much notice as possible.